This post will show you all the necessary questions to ask a real estate agent in Nigeria. The importance of a real estate agent in Nigeria cannot be overemphasized. This is because the process of buying or selling a home anywhere in the world can be grueling and this is worse in Nigeria where legislation regarding property is pretty much undefined. As established in the first paragraph of this article, a real estate agent is important when you either want to buy or sell a house. In this article, I will be focusing on getting a real estate agent when you want to sell your house. Before you choose the individual that is going to represent you as a real estate agent, it is important that you ask some pertinent questions which will help you to discover the type of individual he/she is, the experience of that individual, as well as whether that individual will be a good fit for your goals. In the next few paragraphs, I will highlight some of the most important questions to ask a potential real estate agent before you employ him/her. What is your educational qualification/license to practice? Is this your full-time job or you are doing this on a part-time basis? How many people do you currently represent? How many homes have you sold within and outside my neighbourhood? Will you work on this solely or as part of a team? What is the price range of most of the homes you have sold? How much do you think that my house will sell for? Why? What is your plan for advertising and marketing? How long will my house be listed? What else do you think I need to know? Can I review documents I will sign? Even though a university degree might not be necessary to get a license, it is important that the potential real estate agent has relevant educational qualifications and has a proven willingness to learn more by taking relevant courses on his field regularly. The agent should also be a licensed expert who is qualified to practice in your area, state, and country. Hiring a fresh real estate agent has its pros and cons in the sense that a new real estate agent will have more time to focus on your project but might not have the knowledge of some other factors that might cause a problem which can easily be avoided. On the flipside, an experienced individual who is set in his/her ways will not want to look for new means of marketing your house or be open to fresh ideas. The decision on the relevant years of experience will be up to you but it is advisable to go with someone who has a few years of experience and has proven to be hungry for knowledge which will be evident in the number of courses/certifications he/she has acquired. However, you can go with your gut feeling and give the newbie a chance; it might just turn out right. Remember, it all depends on your needs. This question will provide insight into the amount of time that the agent will most likely spend on your project. If he/she is working as a part-time agent, it will be hard to reach him/her and he/she might not have enough time to put in his/her best into the project. A full-time agent will be a more preferable option for you. However, that an individual is working part-time should not automatically disqualify him/her, make sure to probe further and make your decision. Do NOT base your choice only on the reason that he/she is a part-time real estate agent. You should ask this question as a follow up to the previous question as it will finally help you decide the amount of time the individual will most likely have for your project. A full-time real estate agent who is representing too many people might not have time to focus on your project. In this case, the part-time agent will be a better option. Furthermore, even though you are looking for someone who will be dedicated to your project, having no current client might hint that there is an underlying factor like lack of trustworthiness, desperation, etc. Also, you do not want to deal with someone who is working with many clients who are looking to buy a house. This is because he/she might have torn allegiances and might want to get the best deal for both parties. You should, therefore, look out to get a perfect balance. If the agent has sold more homes outside of your immediate neighbourhood or type of area, he/she might not have the requisite knowledge of details like a reasonable selling price, potential buyers, etc. Therefore, you should look for an agent who has sold more homes within your area or areas that are similar to yours. In the next article, we will be highlighting more important questions to ask your potential real estate agent before making the decision to employ. In the first part of this article, the importance of selecting a real estate agent was established as well as some of the relevant questions that you should ask before deciding on a real estate agent to employ. 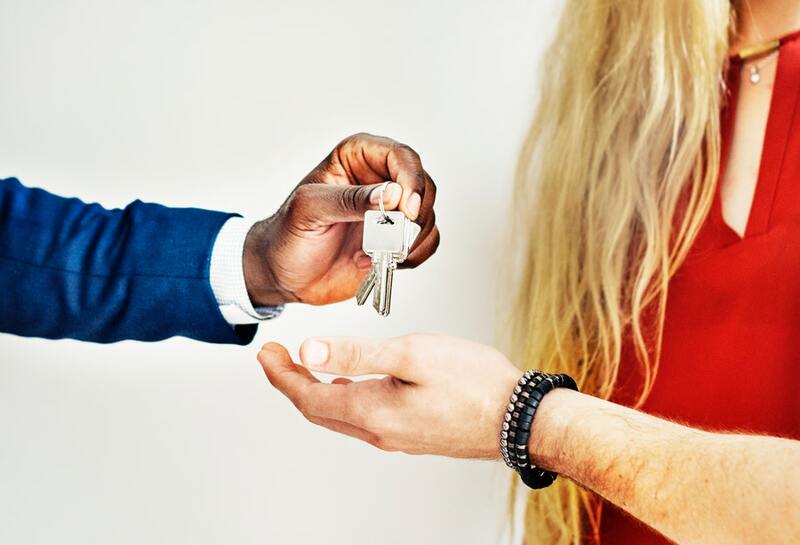 Employing a real estate agent will help you avoid the stress of choosing the right selling price, advertising/marketing your home to potential buyers, negotiating with these buyers and, of course, finally selling off the house. Therefore, you do not need to be told that choosing the right real estate agent is paramount to you achieving your ultimate goal which is to sell your house. Below I will give you more questions that you should ask a potential real estate agent before employment. The answer to this question will give make you know whether you will be working only with the agent on this project or with more people. The agent might be a part of a firm and therefore, have other team members who might work on your project. You should be careful in this case as you might be impressed with the expertise displayed by the agent and rush to employ him/her. Therefore, if the potential agent has a team, you should ask to meet the other members of the team who will be working on the project and also find out the amount of input or involvement that the agent in question will have in your project. Based on this, you can request him/her to work solely on your project or play a major role in the team. Furthermore, confirm the primary means of communication between you and the prospective agent, e.g emails, phone calls, texts or one-on-one communication. This will help to eliminate any communication form which you are not comfortable with. You should ask this question when you already have a potential figure in mind that you are looking to sell your house for. If the agent has sold many homes which are lower than the price range you have in mind, then it can indicate that he/she is not the right individual for your project. Also, if he/she has sold more homes with a considerably higher price range than what you have in mind, it can indicate that the agent might overprice your house which can make it stay on the market for a longer period than you anticipated. This question will show you whether the agent has conducted research into your house at least from a distance before the interview. If he/she is giving an unrealistic price which is too high or too low relative to what you have in mind, then you should ask for the reason for the price choice. Also, you can ask about the negative aspects of your home that the real estate agent has noticed and what he/she will recommend improving the saleability and price of your house. This is a necessary question to ask because the agent is an assumed specialist and even if you might not employ him/her, you will get valuable advice. With the advent of online media marketing, the prospects of marketing and advertising have been opened up to go beyond the traditional and relatively more expensive means of advertising. Therefore, you need to ask the agent about his/her plans for marketing your home and whether you have to pay extra for it. You can also suggest other channels you think might be effective. Inasmuch as you want to get the best paying potential buyers for your property, you might not want to leave your house on the market for too long. This might indicate that the price is too high or the house has an underlying issue. Whatever the case, ensure you find out how long your agent plans to leave your house on the market and the reason for that choice. In the previous part of these series, we looked at some of the important questions to ask an individual you are considering being your real estate agent. In this final part, we will be looking at the last set of important questions you should ask. But before we dive in, note that you should look for reliable individuals that have sold houses before to recommend real estate agents whom they have worked with to you. This will help to eliminate the process of interviewing half-baked self-proclaimed real estate agents who might even turn out to be crooked. However, regardless of any recommendation you get from trusted individuals, you should still set out time to conduct an interview. Finally, try to make it as informal as possible in order to make the individual loosen up. This will give insight into the type of individual the real estate agent is aside from the professional demeanour he/she might try to put forward. Let us look at the last set of important questions you should ask your real estate agent before deciding to make that hire. Regardless of the type of agent, you are searching for, you must know the cost of hiring him/her. An individual who, apart from having the responsibility of selling the house at a profitable or at least reasonable price, also provide advice as well as involvement in improving the quality of the house, will naturally charge more. This is the reason why you must ask for the justification for whatever figure they give you including the services they offer. Some may decide to charge a particular percentage of the cost of selling the house while others might decide on charging a fixed fee for a combination of all their services. Interviewing a good number of candidates will help you to know how they compare with their other colleagues and help you know the best deal including what you can and cannot afford. Finally, note that every fee is negotiable so you should n’t bother asking that question. As you might be interviewing a considerable number of individuals you are looking to hire, this is a valid question to hire. It will help you understand what every prospect brings to the table in terms of personal character traits as well as professional and business advantages. References are necessary for every interview and this one is no different. You should ask the agent for references which should typically exclude family members or close friends and only include individuals: whose houses they have sold, those whom they work with or for (in the case of a firm), and other professionals in the real estate sector. Be wary of individuals who are reluctant to provide references as it generally points toward dishonesty. A real estate agent is meant to provide advice and insight into the real estate industry and therefore, regardless of the ground you have covered in the questions you ask, there should be additional information that you might not know about, e.g Professional Indemnity Insurance. The agent should provide you with additional details of what you need to know. There will be a few documents you will have to sign if you decide to hire a real estate agent which should cover all aspects of your agreement including the fee structure, etc. Make sure you ask to review documents before you sign. It is also advisable to have a legal practitioner help you review the document in order to spot any pot hole. READ ALSO: Real Estate Scams: How to Enjoy Hassle Free Land Purchase Transactions in Nigeria!! In these series, all the necessary questions to ask a real estate agent have been covered. However, it should be noted that you should select only the most important questions to ask especially if this agent is a proven expert in the real estate sector.